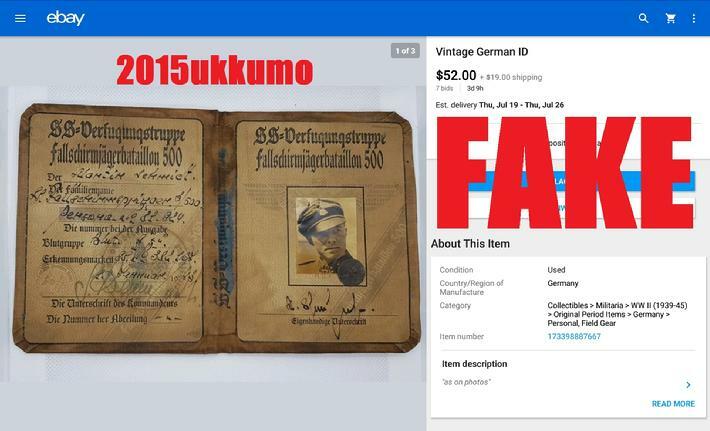 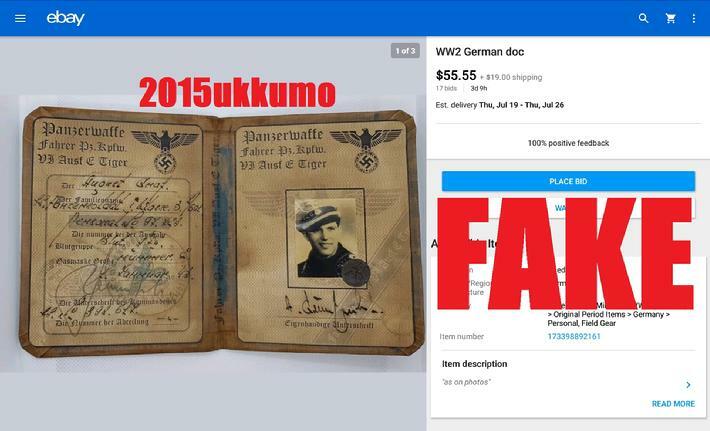 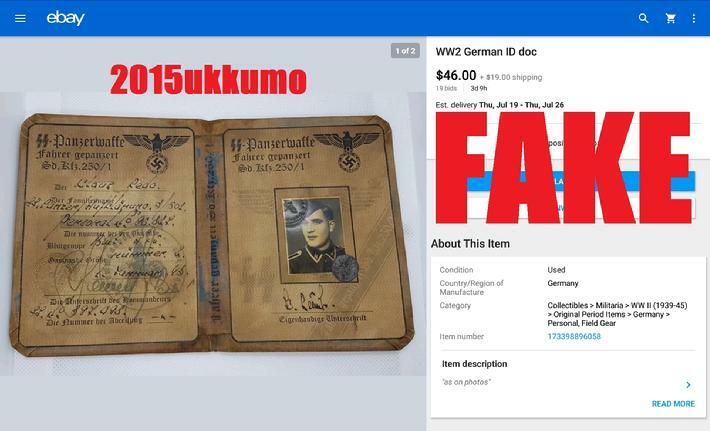 New kid on the block appears to be 2015ukkumo when it comes to blatantly passing off forged Nazi Military ID Passbooks on eBay, and as usual, eBay turns a blind eye to it. 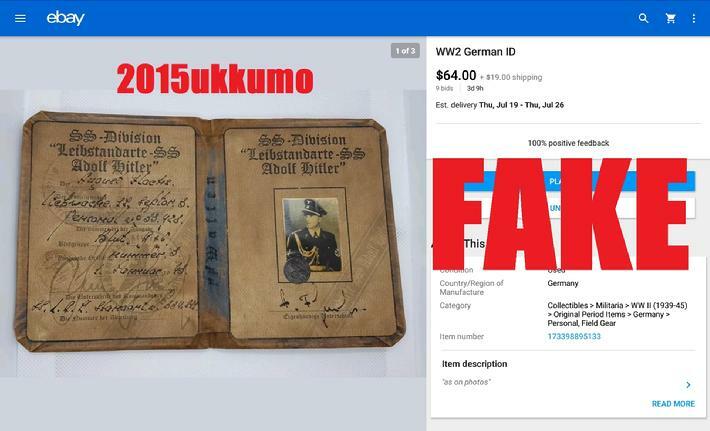 Put a real WW2 German war relic on there and it will get yanked so fast it's absurd. 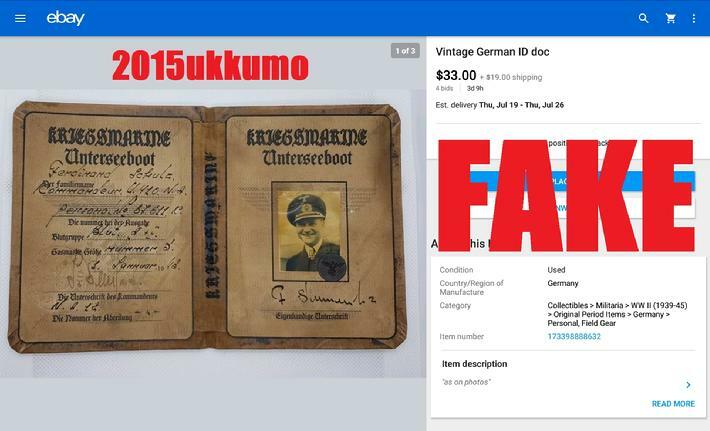 Post a fake, and they will watch it get bid up and sold to a wannabe collector and laugh all the way to the bank. 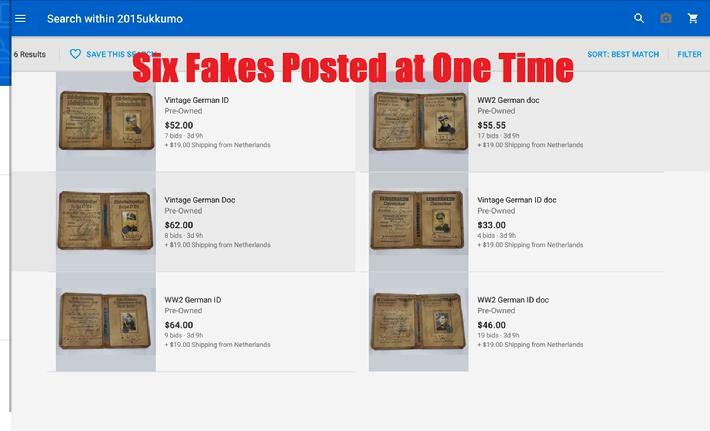 I've seen these pieces of garbage go for as much as a grand. 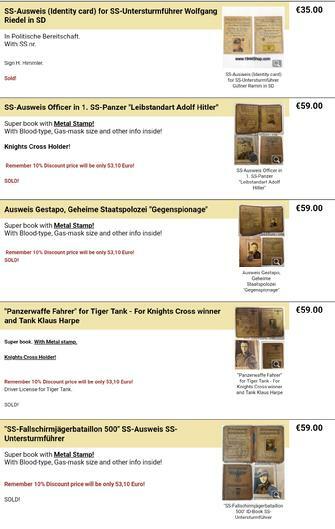 All of this trash is produced and sold on the web by a lowlife in Holland, knowing full well people are reselling them as genuine. 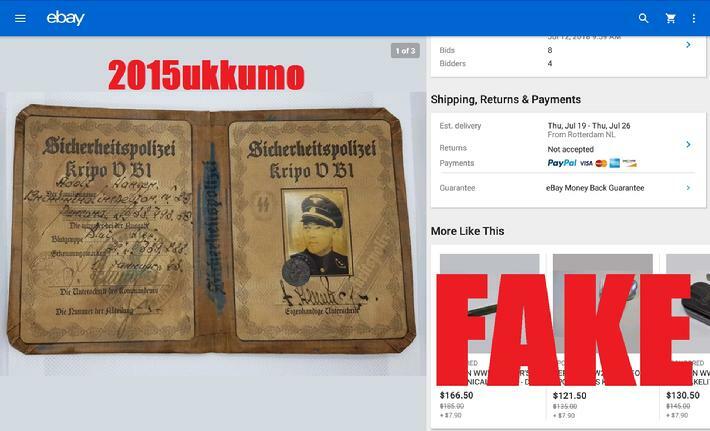 His site does state the items are fakes, but the items are not marked as reproductions. 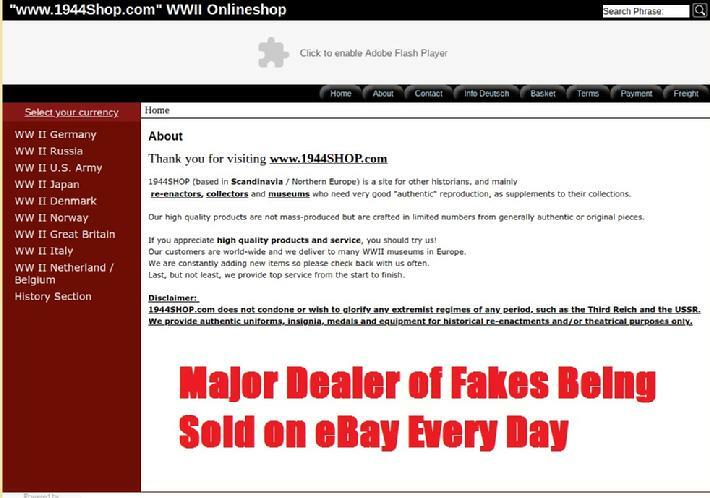 He is also the supplier/seller of many of the fake documents you have seen on eBay.